Bhavin graduated from Guy's, King's and St Thomas' Dental Institute, London in 1999. After completing vocational training, he worked as a Senior House Officer at Birmingham Dental Hospital. He then spent five years working in general dental practice in central London. Bhavin developed an interest in Endodontics during an Honorary Clinical Assistant position at St. George's Hospital in South London. 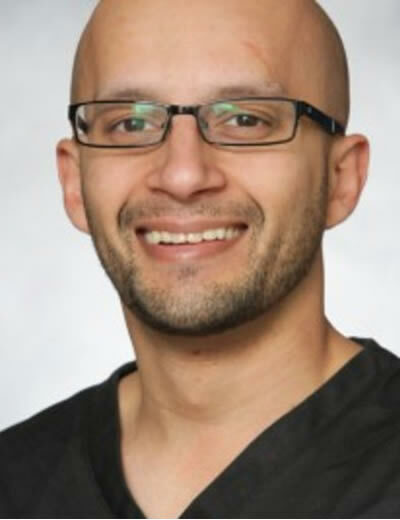 In 2005, he started specialist training in Endodontology at Guy's Hospital. Bhavin achieved a Distinction in the Master of Clinical Dentistry in Endodontology and also obtained the Membership in Restorative Dentistry of the Royal College of Surgeons (Edinburgh). In 2009, he was accepted on the GDC Specialist Register for Endodontics. During his postgraduate studies, Bhavin was awarded research grants by The Royal College of Surgeons (England and Wales) and The British Endodontic Society. Bhavin has contributed to dental textbooks including the 'Adhesive Restoration of Endodontically Treated Teeth'. He has also written in a number of peer reviewed endodontic journals. Bhavin works in referral practices in London and Essex. He also enjoys teaching Endodontics to dental students at Guy's Hospital and is involved in running postgraduate courses. My fear of the dentist was a nightmare. Since I started the treatment I have been treated with understanding and care, I am very happy with my care and attention I got at this clinic.